Calcutta High Court ruled that the Minority Commission does not have any original jurisdiction to declare the status of any educational institution as being a minority institution or otherwise. Delhi High Court observed that keeping a criminal case pending for indefinite period amounts to violation of constitutional rights of the accused recognized under Article 21 of the Constitution of India. 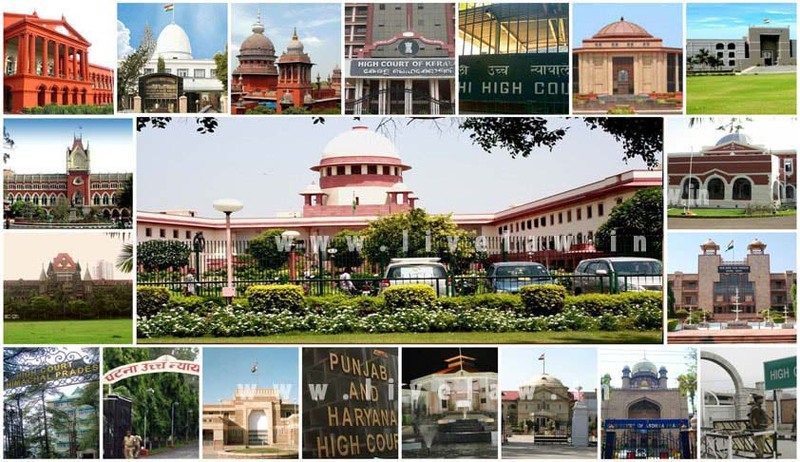 The High Court directed the State Government to grant admission to two minor children of a HIV affected couple in any Senior Secondary School in the vicinity of Aaya Nagar, New Delhi. On Tuesday, the Court stayed 193,908 orders issued by the Comptroller General of Patents, Design and Trademarks, between 28th March to 31st March, 2016. Justice Manmohan was hearing several Writ Petitions challenging such abandonment orders as being passed arbitrarily and in haste. The matter is now scheduled to be heard on May 12, 2016. The Court on Thursday appointed Justice (Retd.) MukulMudgal in supervisory capacity, to oversee the affairs of the Indian Premier League matches at the FerozeshahKotla in New Delhi. Madhya Pradesh High Court held that The Code of Criminal Procedure (Madhya Pradesh Amendment) Act, 2007 is retrospective in its operation. A Division Bench of Madras High Court has set aside the Single Judge’s Order prescribing dress Code for devotees to enter Temples in Tamil Nadu. Patna High Court held that death of a passenger due to falling down while trying to enter into train, is compensable under Section 124A of Railways Act.